Hey lovebirds! 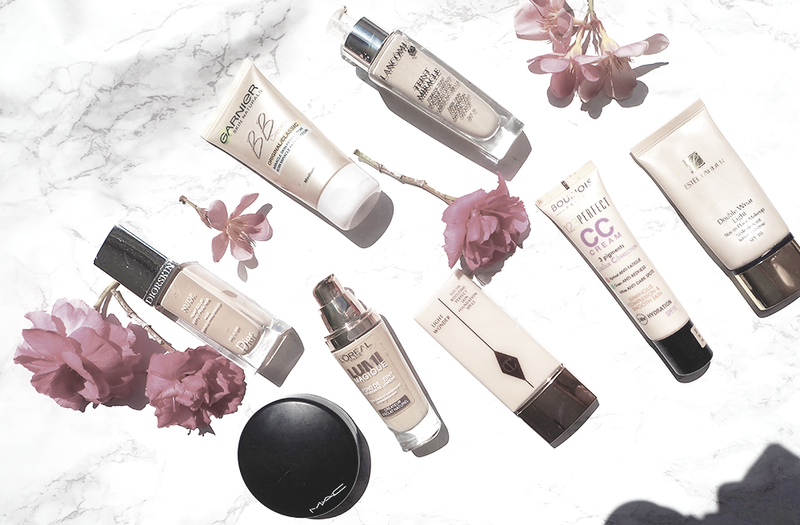 The main topic of today's blog is foundation. I was talking with my friends the other day and I realized that over the years, I've sort of gathered some knowledge regarding foundations. As a result, I desperately wanted to share it with you. Therefore, I've made a little list. I will call this blogpost : a guidebook - foundation 101. Bare in mind that I'm far from a beauty guru. 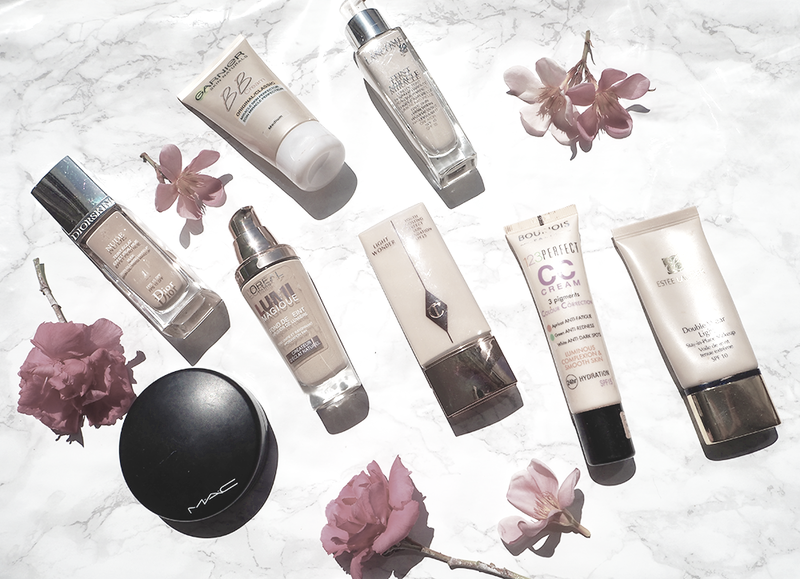 I'm simply a blogger who loves beauty and makeup. I've tried many foundations and made a lot of mistakes. If this little guidebook thingy is of any help to anyone, my mission would be completed. I will stop rambling know and get right to the point! Firstly, you have to decide between powder and liquid foundation. In my experience, baked pressed mineral powders work best on oily to combinaison skins. However, it can be used to set makeup and prevent ceasing. My first foundation ever was a powder. It's easy to apply and natural looking. Besides, liquid foundations are more complicated to apprehend. They are so many formulas and effects you can achieve or expect in a liquid foundations. In fact, before purchasing your liquid base, you have to decide if you want a matte or glowy finish. Of course, you also have to decide how much you want to spend on your base. I, for once, - as always - am a big fan of high end foundations. I feel like a good base is the key to any makeup look. One if not the most important part. NEVER EVER CHOOSE A SHADE THAT IS NOT A PERFECT MATCH OF YOUR SKINTONE. If you're anything like me, you know how much of a struggle it can be. Nonetheless, it's definitely worth it. I don't know how many times over the years, I've had to fight or listen to someone advising me to pick a shade slightly darker than my skin. If your fair like me, you've probably experienced something similar. I don't know but people always seem to want me to wear a foundation darker than my skin. There is nothing I hate more than having a face darker than my neck... Come on, it's 2016 ! Then, comes the big issue : coverage. How much coverage do you really need? Do you want a full flawless face or just your skin but better look? Do you fancy a light coverage or full coverage? It depends on what you want to hide and how much you want to hide. I always reach for my powder on days where my skin isn't having an existencial crisis. On other days, I will pick my favourite foundation. I like natural or glowy finishes with light to medium coverage depending on my skin's situation. I'm honestly quite amazed by people who can pull off a full face of makeup. Make up can be so amazing. It's like you're painting your face and revealing your inner beauty to the world.